Repeat offenders for DWI violations are subject to severe penalties, including six months in jail and thousands of dollars in fines. Perhaps worst of all, a conviction for third offense DWI carries a mandatory 10-year suspension of driving privileges in the State of New Jersey. Imagine trying to get to and from work for the next 10 years without a driver’s license. If you’ve been accused of a third offense DWI, you need an experienced lawyer on your side. The Tormey Law Firm is a team of DWI defense lawyers who represent clients throughout Essex County, including West Orange, Montclair, and Millburn. Our credentials are among the best in the entire state: founding partner Travis J. Tormey is a certified operator of the Alcotest 7110, the breath testing device used in all Driving While Intoxicated cases; we also have a former DWI prosecutor who now uses his insider’s knowledge to help clients beat their DWI charges; and the firm’s staff includes a retired NJ State Trooper who is certified in field sobriety testing. If you or a loved one has been accused of impaired driving, contact the Tormey Law Firm at 201-654-3464. You can also visit the firm’s Successful DWI Verdicts page to view just a few examples of our positive DWI case outcomes. 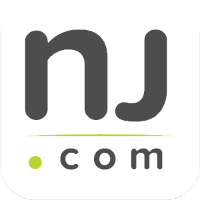 New Jersey DWI violations are governed by N.J.S.A. 39:4-50. The statute stipulates that anyone found to be operating a motor vehicle with a blood alcohol concentration (BAC) of .08 percent or higher may be charged with a DWI violation. As set forth by the statute, a conviction for a third DWI offense within 10 years of a second DWI conviction will result in enhanced penalties. The experienced DWI attorneys at the Tormey Law Firm are prepared to review the evidence in your case and craft an effective defense strategy to keep you out of jail and preserve your driving privileges. 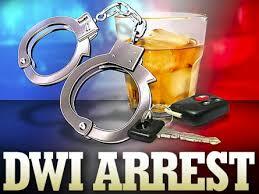 Whether this is your first DWI offense or your third violation, we can help you. Call us today at 201-654-3464, or fill out the online contact form to schedule a free consultation.